Ten Full Color RGBW LED bulbs with 9 Watt LEDs. 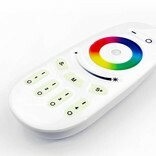 Including a trendy Color Touch Remote with 4 channels. Dim and set each color to your desire or switch to real warm white. Also compatible with optional WIFI Box and APP. 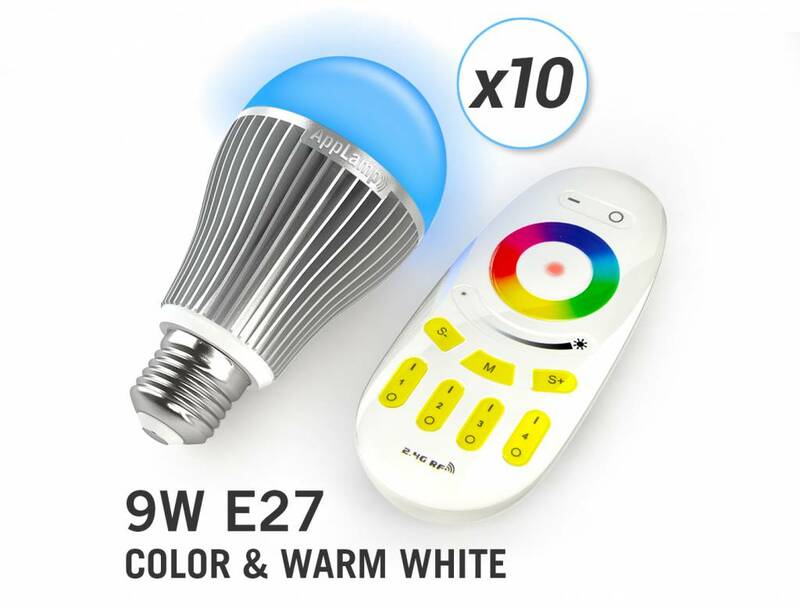 These Full Color RGBW wireless LED bulbs bring your interior to life. 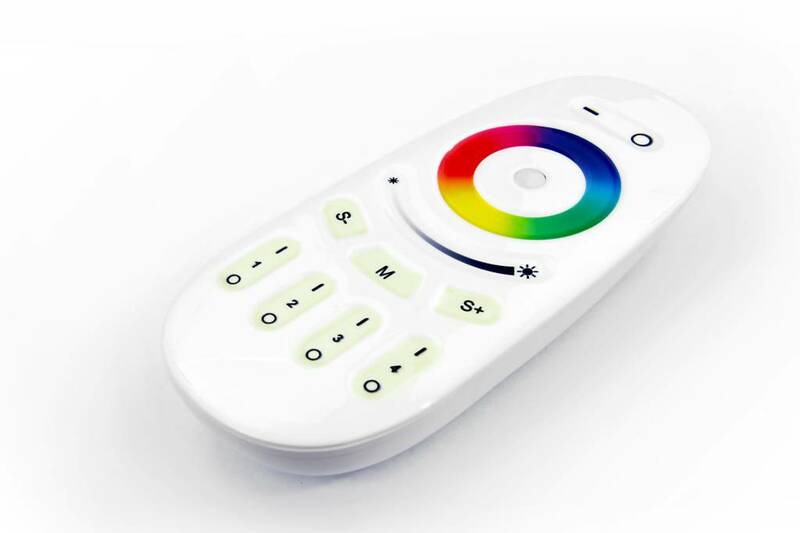 With the stylish color touch remote control, you simply select any color and atmosphere. 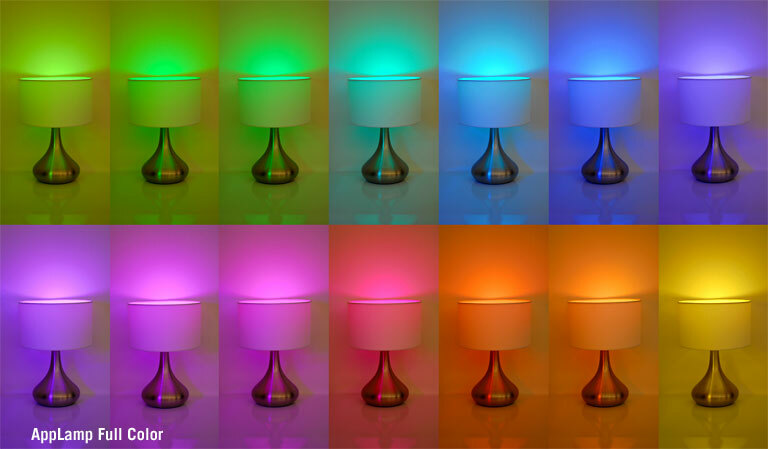 The dimmable RGBW color LED lamps are solidly built and only consume 9 watts (max). With the dedicated warm white added Samsung LED's they are also the ideal 60 Watt conventional bulb replacement, saving up to 80% power while preserving that warm glow. Don't be misguided by the price: With an energy classification of A+ and a life span of 50.000 hours, each AppLamp pays itself back in no time! 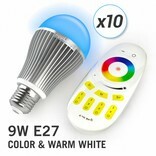 The set includes 10 multicolor wireless / wifi LED bulbs and a Color Touch Remote.